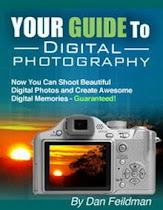 Inexpensive digital cameras make it easy and affordable for anyone to become a good photographer. Unfortunately, it takes more than a camera, even a good camera, to take high quality pictures. You must also educate yourself on the proper use of digital cameras. Photography is an art form. It takes a certain way of looking at things to be able to take pictures that are truly impressive and rise above the ordinary. Fortunately, this can be learned and the skills get better with practice. Let's begin by analyzing some common mistakes people make when taking digital pictures. Your camera's manual is a valuable resource. Using it will help you to get the most from your camera's features. Tripods help you to achieve sharper pictures, even in low light conditions. It's well worth the extra time and effort. You may not always be able to use a tripod, but it can greatly improve your results when this is possible. Digital cameras need some time to focus properly and to get the right exposure. Depending on the situation and camera, this could take a fraction of a second to several seconds. Get in the habit of accounting for this when taking pictures. A little patience goes a long way in improving your photographs. Zoom is a great feature, but it does make the picture grainier, so it's preferable to get closer to the subject then to rely too much on zoom. Of course, keep safety in mind, too. A grainy picture is preferable to entering an unsafe situation. Natural light generally provides the best pictures. Flash can make pictures look harsh and unnatural, so it's preferable to use natural light as much as possible. A digital camera with a good memory card can easily store many hundreds of pictures. This makes it easy to experiment. Try many different angles and compositions and simply delete the pictures you don't like. Pictures like this can get boring. Learn the rule of thirds in composition and you will achieve better, more interesting photographs. If you can see the horizon, make sure its horizontal in the picture. This can be a good way to level your shots. It's generally not necessary to select a low resolution setting on your camera. It's better to buy additional memory for your camera than to rely on a low resolution setting just to save memory space. Digital memory keeps getting cheaper and it's a good investment for photographers. Don't try to cram too many objects and or people into one picture. Pictures are usually more effective when they focus on a single subject. Simplicity is often better than unnecessary complexity. You never know when you will get a good opportunity to take some great pictures, so make a habit of always having your digital camera with you. View more presentations from renny.